Last Tuesday was the kind of evening when you just want to snuggle up with a good book and a warm mug of Earl Grey. But I rallied and zipped up my winter boots to go to Silicon Valley's geek mecca, The Computer History Museum. The guest of honor was Walter Isaacson, the author of Steve Jobs' biography and the bible for entrepreneurs around the world. 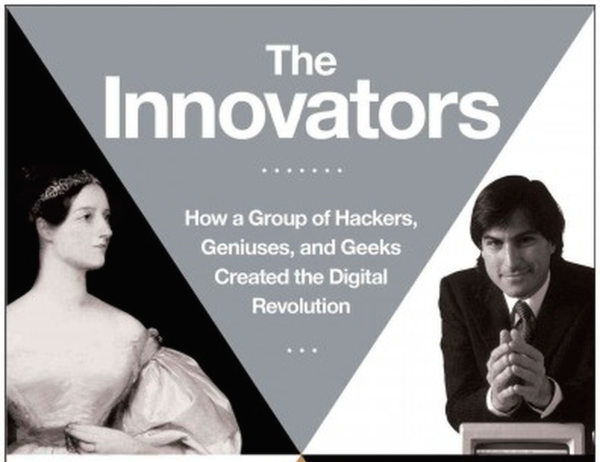 Isaacson's latest book is The Innovators: How a Group of Hackers, Geniuses and Geeks Created the Digital Revolution. I knew that learning more about Silicon Valley's history would be good for me, but after reading the humdrum Financial Times review, my expectations were low. But my fears were unfounded. In the parlance of modern movies, Isaacson had me at "Ada Lovelace." She's the woman who outlined the very first computer algorithm, and envisioned computer programs that could make art, even music. All this back in 1843. Instead of a discussion about the male-dominated heroes of computing, Isaacson rarely strayed from the topic of women in computing. He chronicled the shocking neglect of the female programming team that completed the Eniac project, the first electronic general-purpose computer, only to be excluded from the high-profile public launch. Many times men got the credit and women were invisible. "We have to put women back into the history of computing," Isaacson said. Isaacson also has his finger on the pulse of Silicon Valley. Like automatons who've been asleep at the wheel, the tech world -- widely considered the ultimate meritocracy -- is waking up to the huge gender bias that's prevalent here. With some prodding from influential journalists, companies like Google, Facebook, and Yahoo have recently published their stats. On average, a paltry 15 percent of the tech workforce is female. Gender-balanced teams make better products, companies, and communities -- and make them more economically valuable. A recent study from Dow Jones VentureSource found that companies with the highest representation of women on their top management teams achieved better financial performance than other companies. Sadly, despite Sheryl Sandberg's "Lean in" movement and Warren Buffet urging people not to hold women back, least of all themselves, the number of women going into computer science has actually dropped by half in the last 20 years. The dearth of prominent geeky role models like Yahoo's Marissa Mayer and Kim Polese is part of the problem. Some say there's still a boy's club atmosphere in tech and that it's "hostile to women." Some women, like those involved in the misogynistic "GamerGate" even fear for their lives. 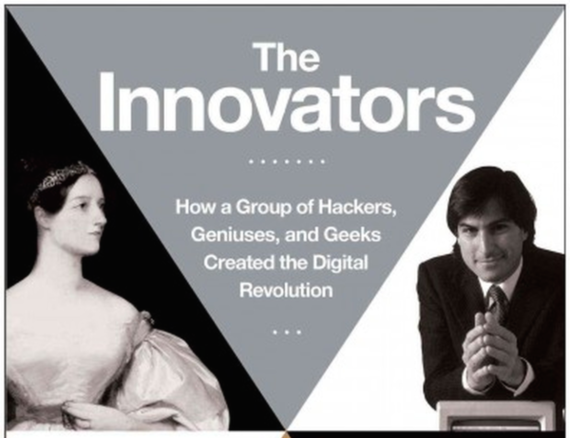 Isaacson's book and its rewriting of tech history, with innovating women front and center could not be more timely. Everyone needs role models, says Isaacson. Three cheers to that. Ada Lovelace is now mine.